Years ago, I released A Course in Mind Power, which is a book on developing your intuition and perceptive powers as well as increasing synchronicities in your life. There are a lot more concepts that are shared from an experiential perspective but that is the basic gist. I share the most profound of all Qigong exercises out of thousands of styles that exist, Kundalini from the perspective of someone who has had about 10 very extreme spontaneous Kundalini risings and more. Instead of simply being repackaged information that most “mind power gurus” are more than willing to offer you, this is based on my own personal experience. And unlike most books on mind power written by westerners, you will learn how to cultivate life force energy at a level that you have never imagined by increasing the capacitance of what your body can hold. It goes much deeper than this and a lot of material is covered including the four primary areas of knowledge. Many people like to quote the idea that “we don’t know what we don’t know” but why do they never discuss the other three areas of knowledge? Ingo Swann was the primary developer of Remove Viewing and a simple but profound statement of his was simply the fact that the first step to power was to expand one’s frame of reference. This is put into a context that will have you fully aware of what it means from many perspectives so that you know where you stand in relation to knowledge that you seek. You will learn a very special application of neuro-physiology and how to get rid of subconscious noise so that the signal to noise ratio increases. Every single method used to predict things in the future including remote viewing has its basis in the Ideomotor Effect and A Course in Mind Power and this presentation are about the only places where you will ever learn this. 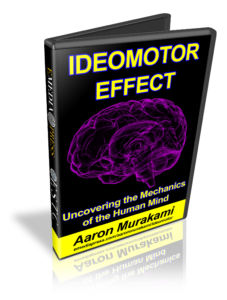 The Ideomotor Effect is taught in some remote viewing methods, but it usually ends there. 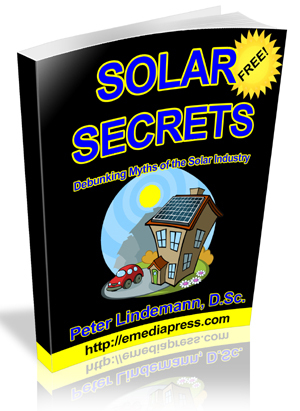 It will be obvious to you that it is behind everything – synchronicities, I-Ching, dowsing, etc. I’ll show you some examples of my old practice remote viewing sessions and I think you’ll have to agree that they are profoundly accurate. Considering all the known possibilities of what an unknown target could be, the odds are absolutely astronomical that I could come this close to the target but it can be done over and over and over. This is a science but is also an art and thankfully, it is repeatable and fairly predictable and anyone can learn it no matter how naturally intuitive they are. I’ll include a copy of Rene Warcollier’s book Experimental Telepathy, which is the thesis that serves as the foundation for remote viewing, which was developed at Stanford Research Institute for the purposes of training special agents and military members how to be psychic spies since we learned that the Russians were using psychic spies against us. You’ll also receive a copy of the full manual developed at Stanford Research Institute, which was originally called Coordinate Remove Viewing (CRV) – that was the protocols that were taught to members in the Defense Intelligence Agency, the Army, etc. A six page document from the CIA discussion CRV is very interesting and you will see where the movie The Matrix got the term matrix from. It is a direct reference to the collective where all information in the past, present and future lies. In case you want to further your study on these topics, a 50% off coupon code is included in a PDF for A Course in Mind Power, Lessons in Advanced Perception and Hacking the Aether. The last one isn’t about mind power, but is related to our relationship with time and space and I believe is so important that most people need to study it. I think you will find this presentation unique and interesting but also very helpful and practical and it is certainly a must have for any mind power enthusiast who wants to increase their intuitive powers and gain most mastery over their mind and body.